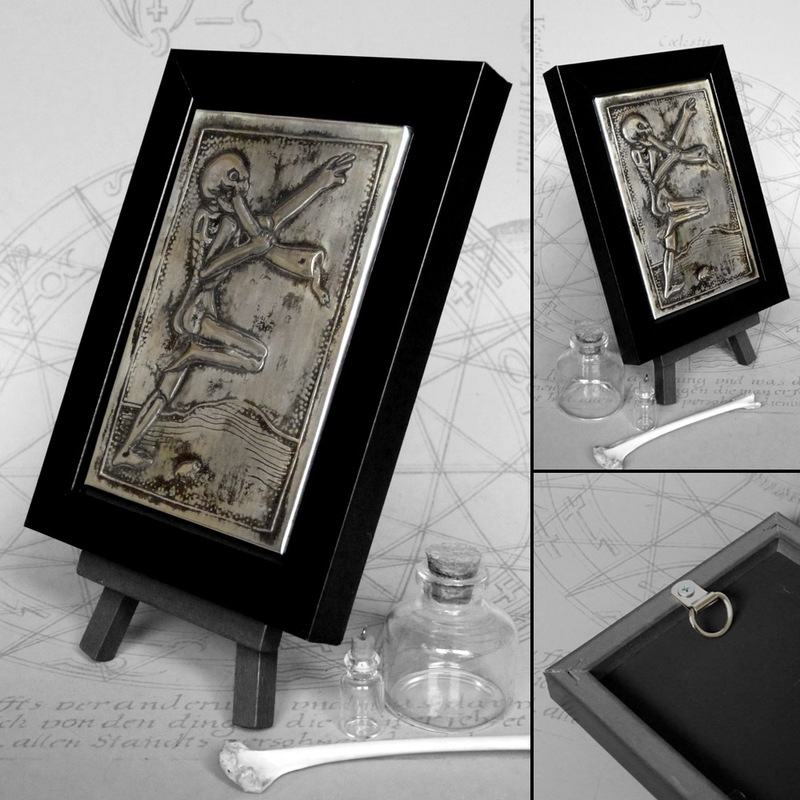 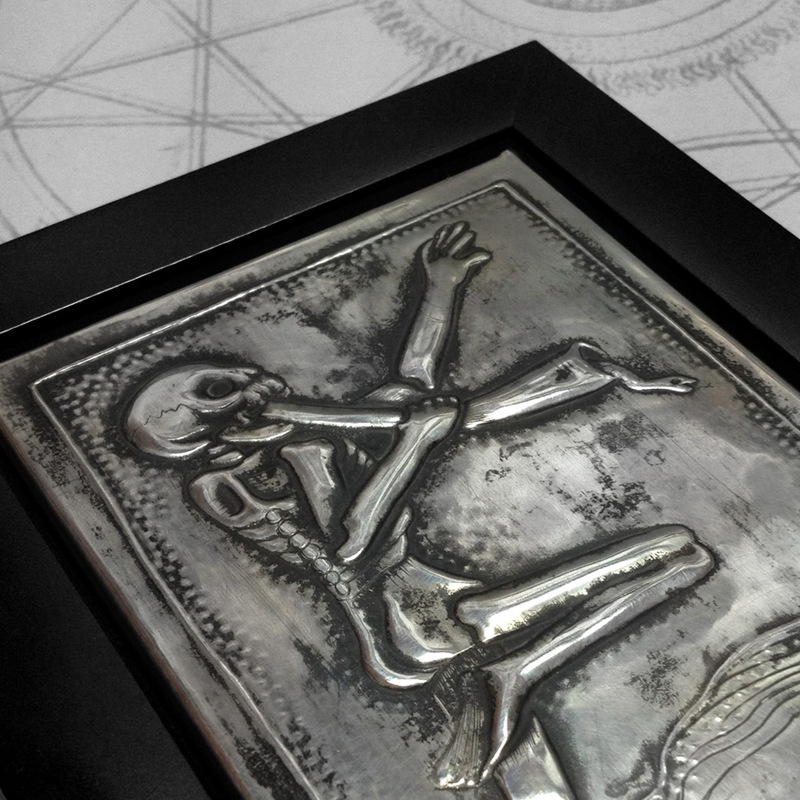 Frame: 15cm x 11cm x 1.5cm / 5.9" x 4.3" x .6"
Embossed panel: 11.5cm x 7.5cm / 4.5" x 3"
Danse Macabre, or Dance of Death imagery was a popular theme in the 1500s. 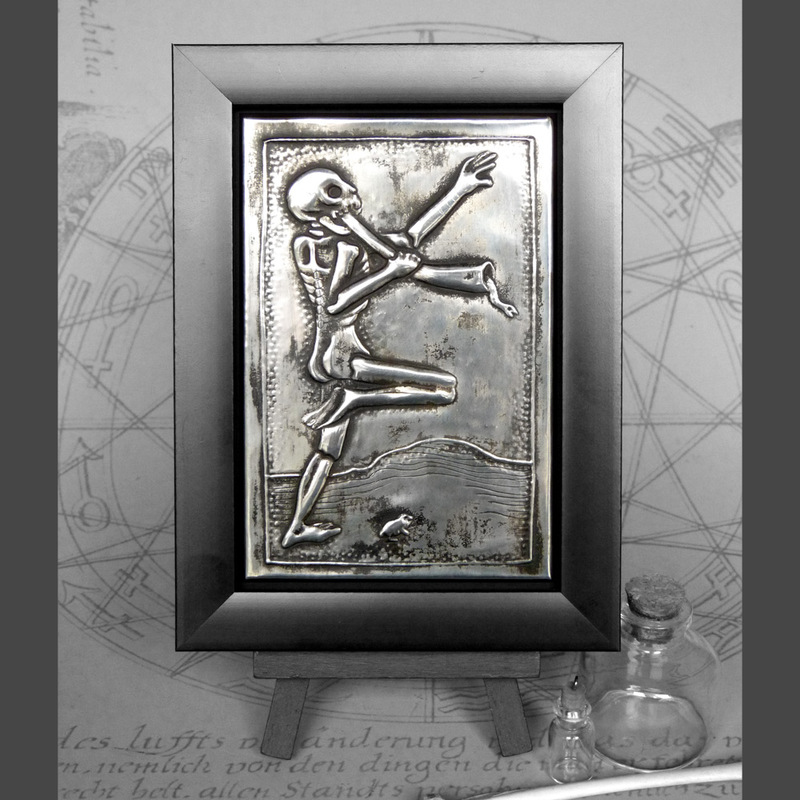 In a highly stratified society, death was the only experience common to all, and danse macabre images show all manner of people from kings, noblemen and priests to merchants, farmers and peasants, surrounded by gleeful dancing cadavers. 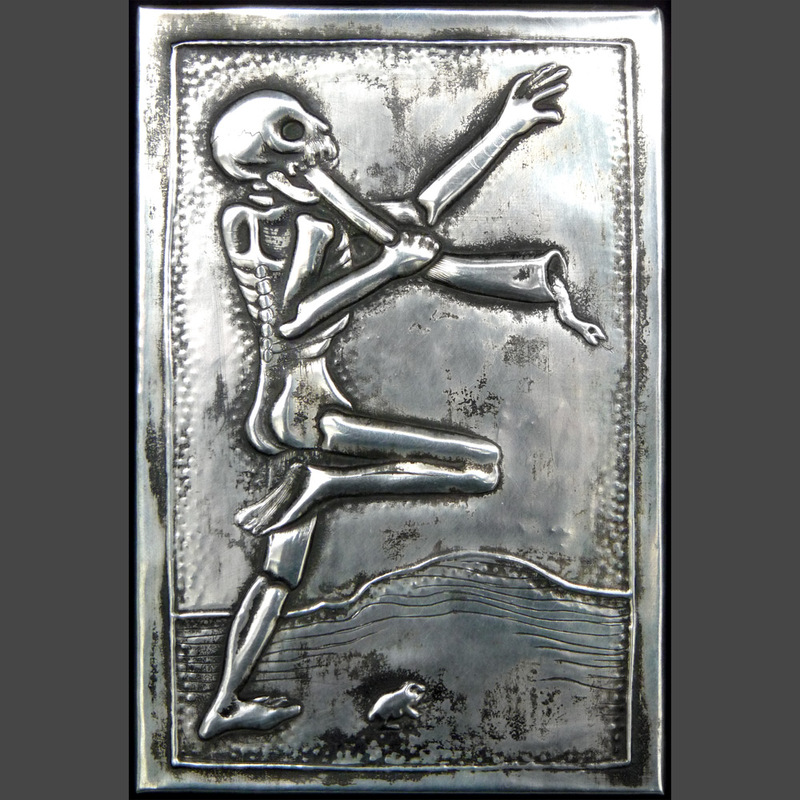 I’ve adapted an old woodcut for this piece – I particularly love the way the dancing skeleton is blowing his horn like he’s about to take a bite out of it, and snaking out of the end of the horn is a little graveworm. 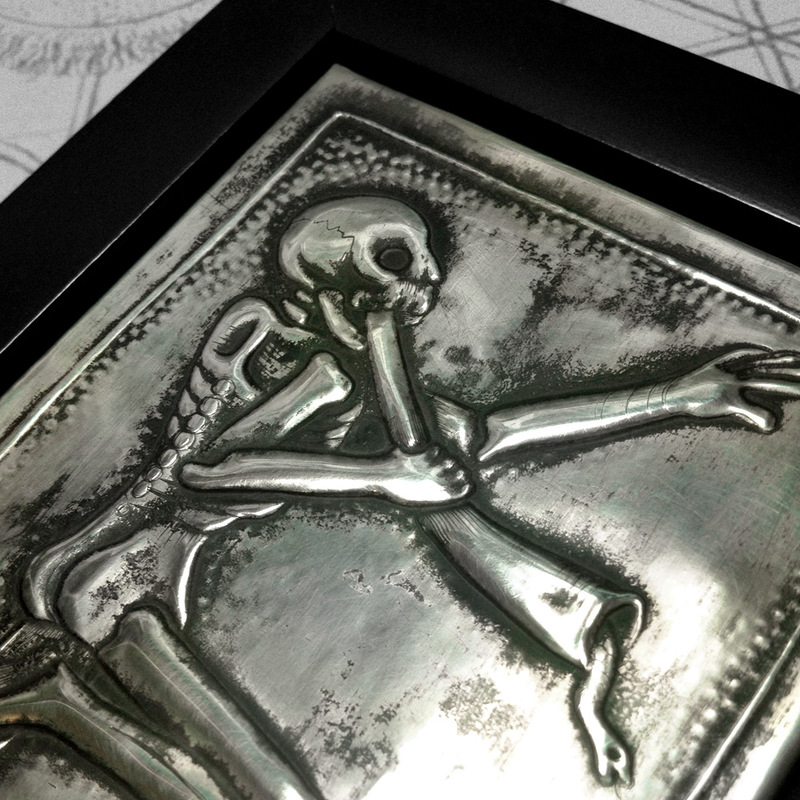 The original woodcut image featured some kind of tiny animal down by his feet, I’ve kept it in though I’m not entirely sure what it is – maybe a frog?